Not Another Bill! Let me ring their praises for a moment. For those of you who don’t know, NAB is a great concept dreamed up by Ned Corbett-Winder, a one-time Art Director at my place of work M&C Saatchi. As an Art Director he was forvever being sent cool stuff by people who wanted to work with him, as well as getting to work with a ton of awesome illustrators, graphic artists and designers. It was from all this that Ned conceived the great idea of providing a subscription gift service, to share some of this stuff with the world, and to curate some more beautiful pieces by collaborating with a range of designers. The idea was fairly simple, you sign up, or buy a subscrition as a gift and once a month, instead of getting a bill through the post, you’d get a beautiful object. As a complete aside NAB fall into one of my dream companies to work for, but that’s for a different post. 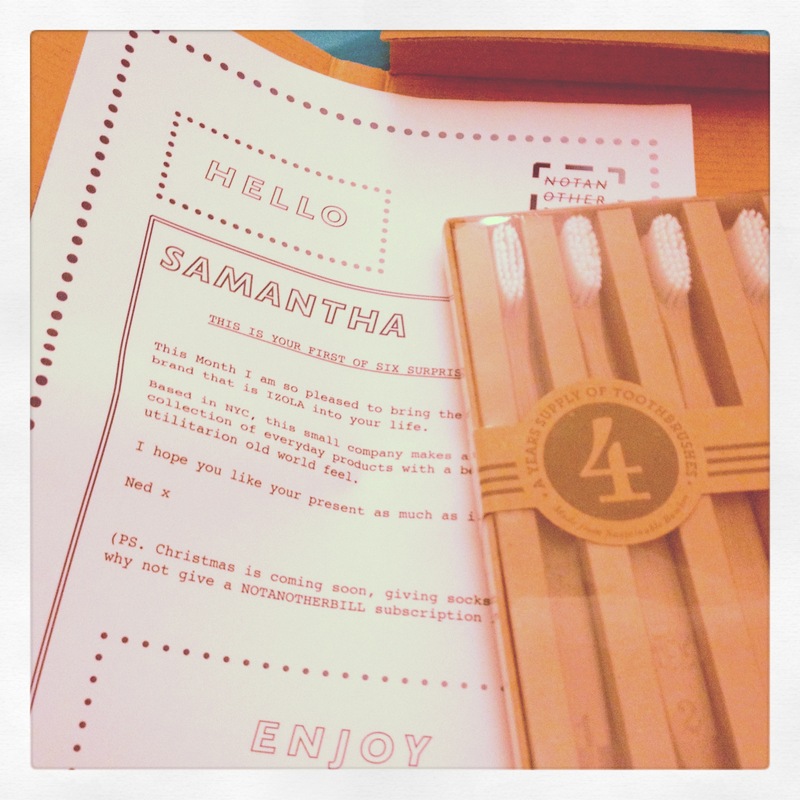 My first ever gift was a bit of a curveball, a set of 4 beautiful bamboo toothbrishes! 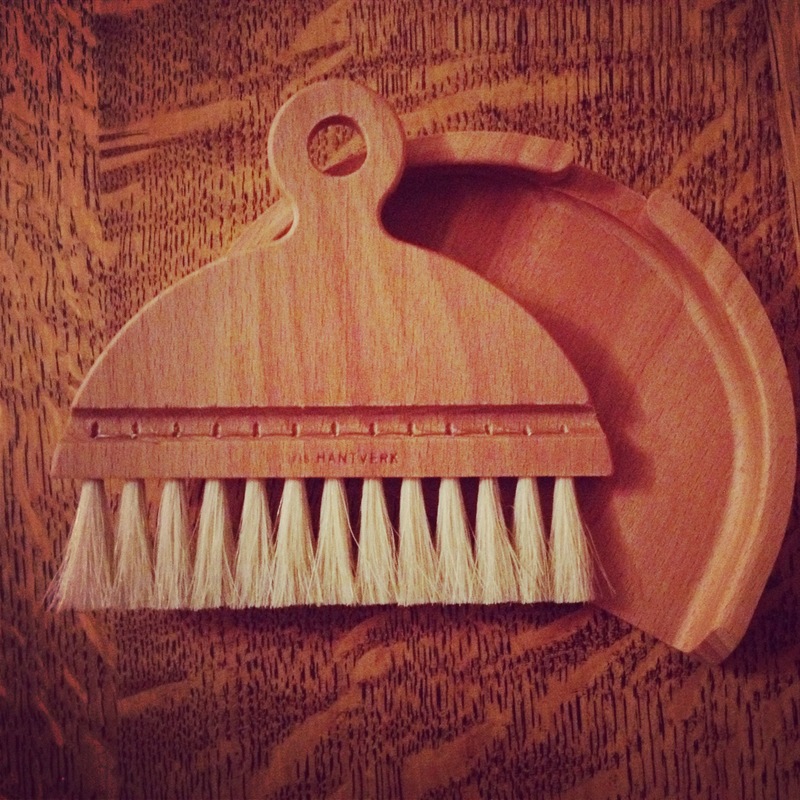 We also received this table dustpan and brush made by Swedish company Iris Hantverk, which I still use every single day, it’s so wonderfully made and useful too for crumbs and table spills. I loved my subscription so much, that when my 6 months ended we decided to keep it going on a rolling deal, and haven’t been able to bring ourselves to cancel it since! Amongst some of the beautiful things we’ve received have been a Crispin Finn designed tray, A Cornish Beard Design breadboard, bags, spoons, prints, scissors – you name it. One month I even received a build your own lomographic camera! 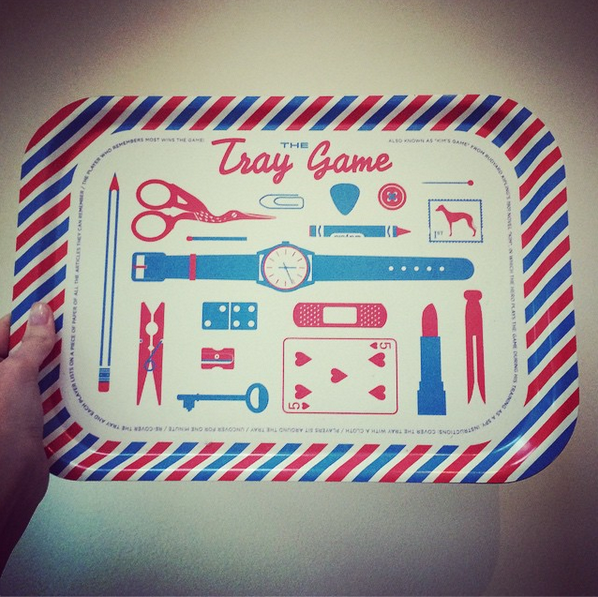 Find out more about the tray here, and, if you like this, then you gotta check out Crispin Finn’s shop here (I have to have their planner for Christmas – if nobody buys it for me I will cry). Anyway, over these long three years Not Another Bill has introduced me to a raft of designers, and built a number of new obsessions. One of these is Danish brand Ferm Living – long time collaborators with the guys at NAB they’ve produced a couple of their monthly gifts. A couple of yeas back, via the NAB shop, I picked up a set of lovely wooden molecules for my husband as a Christmas present, they’re so much fun to play with – but also look just lovely. The molecules are currently gracing the shelves of baby Gene’s nursery alongside Mr. Molecule bear, who bears (no pun intended) a striking resemblance with his super atomic spots! You can still buy the molecule set on their website here. That picture doesn’t entirely do the frame justice I’m afraid, so you’ll have to take my word that its beautiful and find out more on NAB’s site here. You can also buy them on Ferm Living’s website in a range of different woods (Euros). 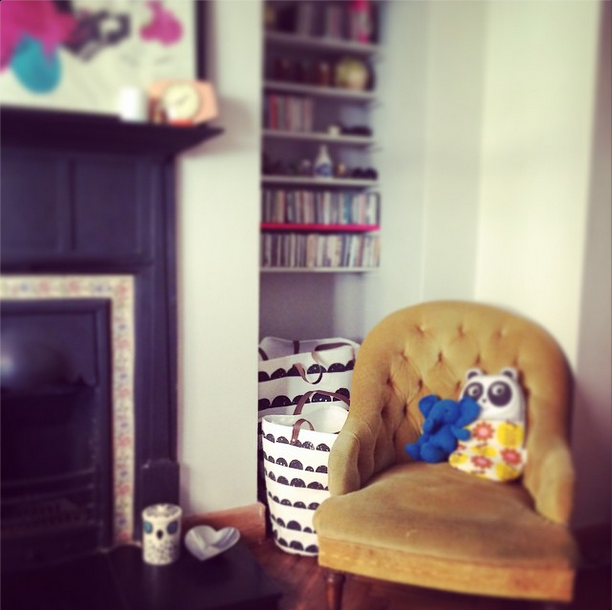 I’d been looking for some storage for my front room to go into a little nook behind our chair – now that we have a little one with us every room seems to get cluttered up so easily! I was reluctant to get any furniture as our house is small, so when we inevitably decide to have a shift round, then I didn’t want to be stuck with another piece of furniture that just wont go anywhere else. They’re laundry bags, but they’re lovely right? Screen-printed hardwearing cotton canvas, leather straps? they’re stylish, sturdy, and best of all they can move around to wherever we need them, I’m just as happy to have them in my front room as I would be to have them in the bathroom or bedroom – they’re also perfect for hiding toys and blankets. I love them! Subscribe to Not Another Bill here, follow NotAnotherBill on Instagram here. 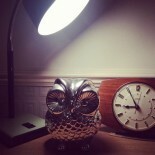 This entry was posted on November 14, 2014 by antiqueowl in Designer Owling, Online owling, Owling at home, Uncategorized and tagged Camera, Cornish Beard Design, Crispin Finn, Danish, design, Ercol, Ferm Living, Gift, graphic design, illustration, Instagram, Iris Hantverk, John Lewis, Lomography, Not Another Bill, Subscribe.